EWB’s University of Guelph Chapter was established in 2003 by Engineering students seeking to develop a deeper understanding of how to make the world a better place. Engaging with engineering and non-Engineering students, EWB has brought students from across campus to work together on development projects locally and internationally. From advocating thousands of students on campus about fair trade products to engaging in tough conversations about challenging topics, EWB Guelph is highly active in the community. As we grow our chapter, we are determined to increase our EWB footprint on campus, and in the community. Life of an EWBer at Guelph can take many shapes & forms. Throughout the semester, Guelph EWBers work with each other, other students, professors, and community members to create positive and lasting change within the campus and the community. Some members run their weekly seminars & outreach events, while others strive to promote global awareness within the Guelph Engineering curriculum. First and foremost, this organization is not just for engineers. 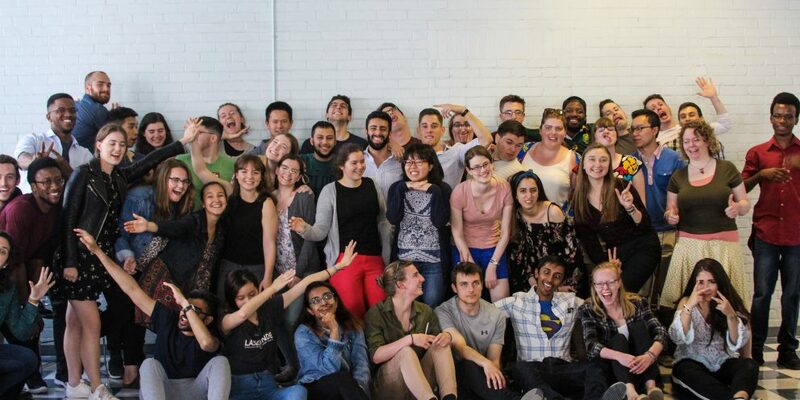 EWB Guelph is a tight-knit group of people from different backgrounds who are passionate about using their talents to impact other lives positively. By merely attending weekly meetings, you will meet new people and make some great friends! You will gain practical knowledge and awareness to guide action. Your involvement in EWB Guelph will be a way to focus on your personal and professional development, that may even help you uncover new career paths and opportunities.